Thank you for reading about my class trip to Egypt-Israel/Palestine! I am fundraising to pay for the trip so if you would like to learn more about that please click here. We used 3 categories for everything we saw to distinguish how plausible it was that something actually happened in a particular location. 1. Category 1: There is archeological proof that this is logically the place where “it” occurred. 2. Category 2: Somewhere in between Category 1 and Category 3. 3. Category 3: Tradition states that this is where “it” took place. 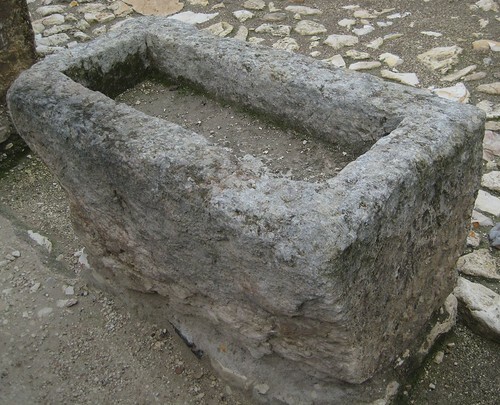 However, there is no archeological proof and usually there is 20 more feet of dirt on top of the location then there was during Jesus’ time (or whatever time we talking about). Thursday morning we set out bright and early to Jerusalem. Belvoir Fortress is a fortress that was built during the Crusades by the Crusaders (makes sense). 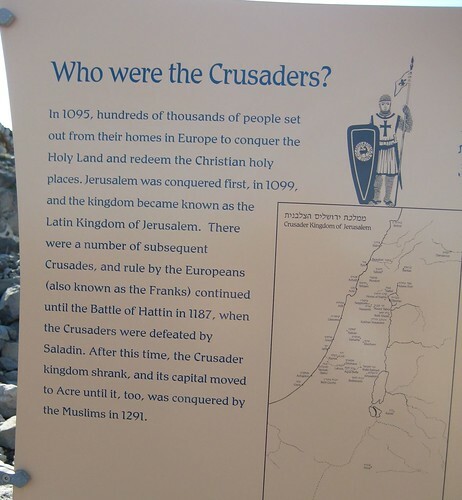 It was really nice to see and talk about a different time in history and learn a bit about the Crusaders. 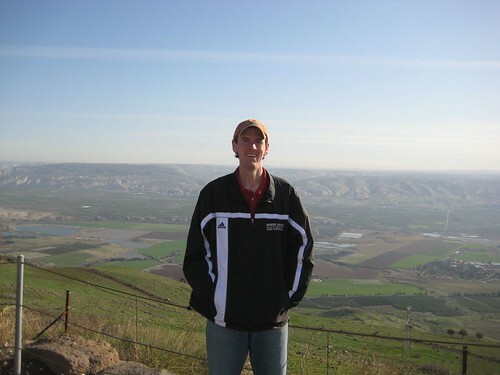 Furthermore, the view was spectacular and it was on our way to Jerusalem from the Sea of Galilee. We arrived to Jerusalem…and drove right through it to Bethlehem and the Church of the Nativity. 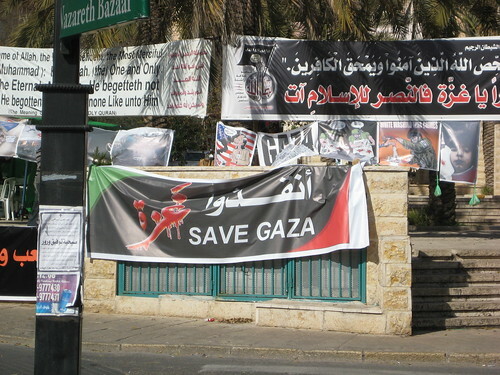 As we met right outside the church there was a protest going on across the street over the war in Gaza at the Bethlehem Peace Center. We then went inside the Church of the Nativity. The door to get in is very short, therefore, it is called “the door of humility” because one must bow to go through it. However, we were told the main purpose was most likely so that a person could not just ride in on a horse. Honestly, I did not know the history of this church when we entered. After we entered, a priest came up to our guide and we were asked to leave for 30 minutes for being loud. I could feel that there was a lot of tension in the church. This is when we learned that the church is split right down the middle with the Greek Orthodox owning one half and the other half belonging to the Armenian Apostolic Church. Apparently, there are set rules about who can go where and the priest get in fist fights every now and again when the other side thinks someone has crossed the line. It is a very tense place. We went down and saw the star which is the traditional site where Jesus was born. This is a category 3. 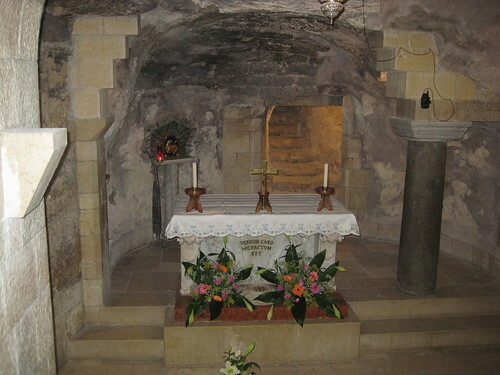 We were told that it is basically impossible for this to be the site where Christ was actually born. However, it was still very powerful to be in the spot where so many people come and pray and believe that Christ was born. After we left, I felt stressed because of the stressful environment and it took me a while to calm down. I was really sad about how the supposed place of Jesus’ birth had become a place of such conflict. 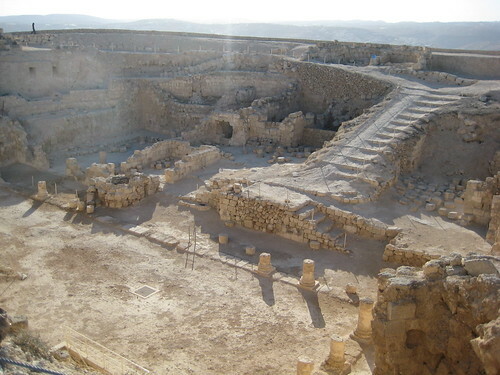 Herodion is a palace fortress that King Herod the Great built for himself. Just 2 years ago, the Tomb of Herod was found here which is really interesting. The tunnel system was incredible and once again I was completely blown away by how much attention was paid to architecture back then. We then headed back to Jerusalem to the place we would be staying for the next several nights. From Herodion one can see all of Bethlehem and Jerusalem side by side. Jerusalem and Bethlehem are separated by a wall, but the cities are conjoined. I thought there would be some distance between them, but they are practically one city it appears. Welp, that’s all for now. I’ll finish the rest of the trip later this week. Have a great day! 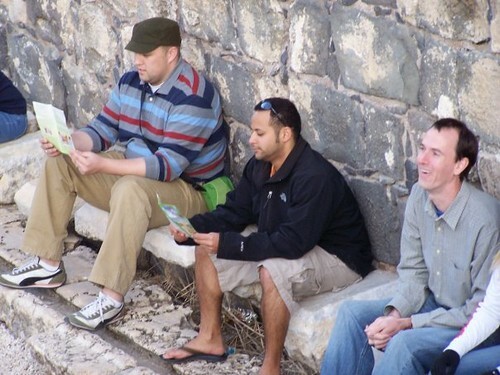 Wednesday we got up a little bit earlier than usual for our boat ride on the Sea of Galilee! 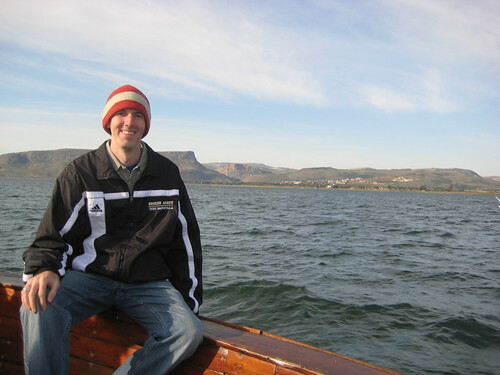 It was your typical boat ride except for it was ON THE SEA OF GALILEE! 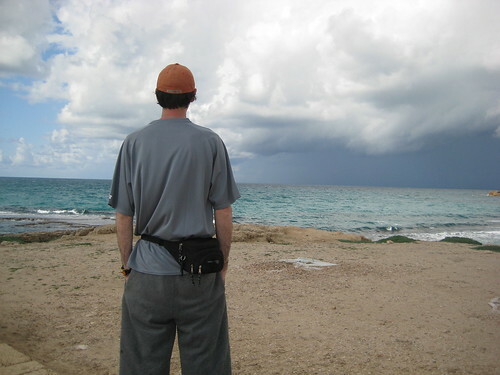 This is the sea that Jesus calmed and upon which Jesus walked. 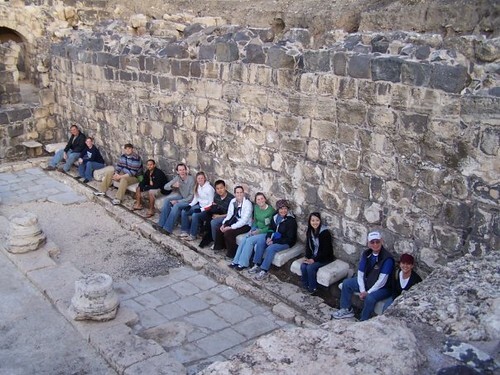 It is also where the disciples who were fishermen fished…pretty cool! Our boat ride had a certain mystique to it. At the very beginning of the ride, all of the sudden the Star Spangled Banner started playing and the boat driver asked one of us to raise the US flag…not what we expected. I stood up because that’s what Westwood Elementary School taught me to do and then everybody else was standing and singing the Star Spangled Banner on the Sea of Galilee. Yeah, once again, didn’t see that one coming. The rest of the boat ride consisted of a lot of surrealness and trying to feed birds. 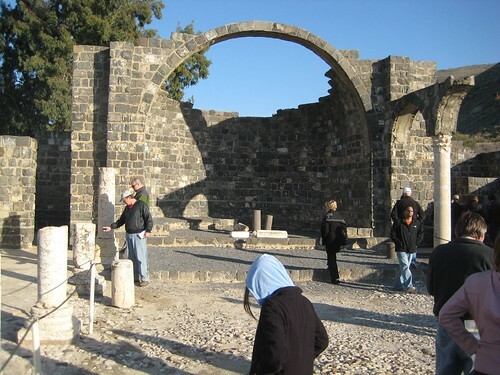 Our next stop of the day was Cana which is a 20 minute drive from the Sea of Galilee. 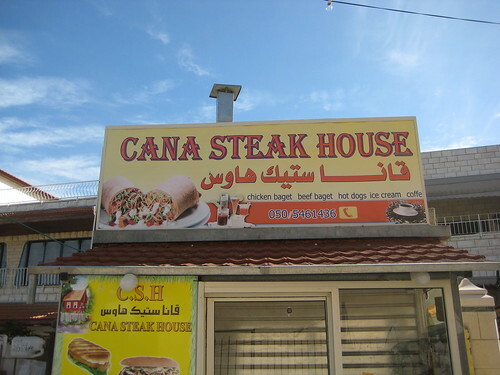 Cana was a good sized modern city which is a bit confusing because I always think of Biblical cities as being stuck in Jesus’ time. 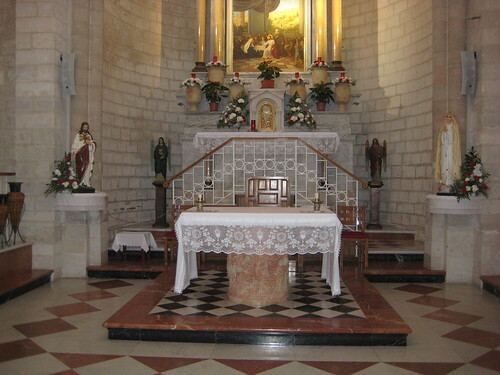 We then visited the traditional site of the Wedding at Cana (John 2:1-11) where there is the Wedding church…obviously! Our guide was married here which I thought was really cool. A theory is that the wedding was for someone related to Jesus’ mother Mary because it is typical for relatives of the couple getting married to be in charge of getting more wine when they run out. So, that’s a new theory I had not heard before. We then journeyed to Nazareth which is right next to Cana (you can see Nazareth from Cana from a tall rooftop and vice versa). 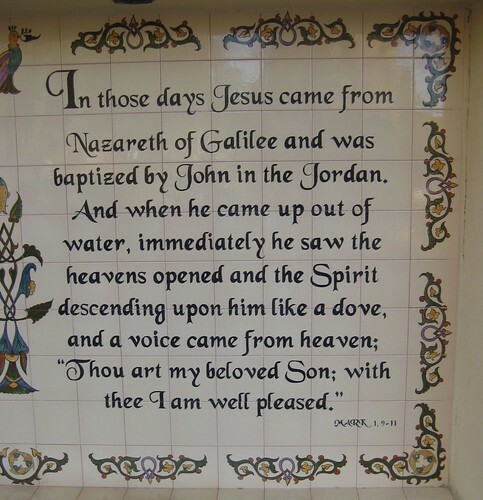 Nazareth is where Joseph and Mary came after they returned from exile in Egypt with Jesus. 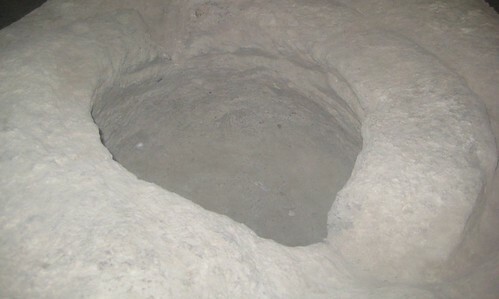 Therefore, this is where Jesus was brought up. 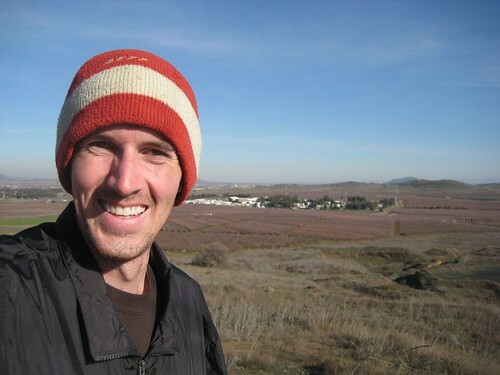 Nazareth is a city of 200,000 people now, but our professor says that back in Jesus’ day it was a town of 200-300 people. We visited the Church of Annunciation where the Angel appeared to Mary and told her she was going to have a child: Luke 1:26-38. It was an enormous Catholic church which houses the traditional spot where the angel appeared to Mary. This is a category 3. However, it was such a small town that we were definitely in the vicinity of it. Furthermore, it is a cave as are most of the Biblical places we have visited. It is really different than I envisioned because on VeggieTales and Bible cartoons Jesus is in a wooden manger and Mary is met by the Angel in a built home, but nope that’s not how it was. I’m going to write some strongly worded letters to VeggieTales about all this! 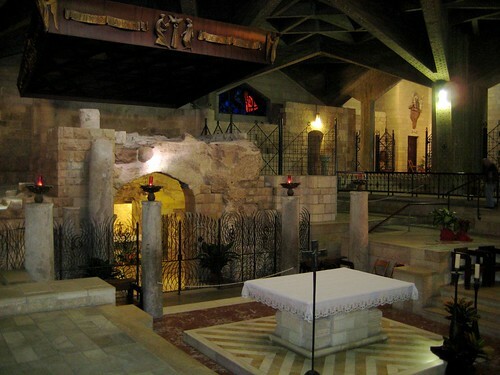 The most unusual moment of our time in Nazareth occurred when we were all gathered around our guide Peter as he explained the history of the Church of the Annunciation to us. 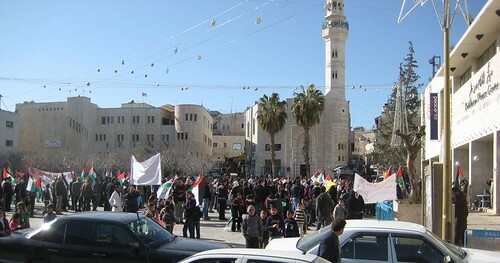 As Peter talked the Call to Prayer rang out from every Mosque in town. Then all of the sudden 2 F16s flew over and right when they were over Nazareth they turned on their afterburners and drowned out all other sounds. 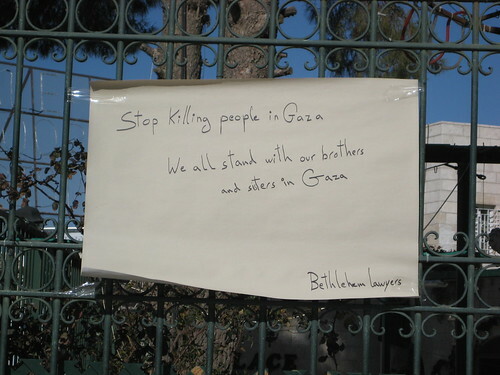 It was pretty obvious that the Israeli F16s were trying to intimidate the Muslims which was really sad. Beit She’an was impressive and overwhelming! There were more ancient ruins here than anywhere else we went. 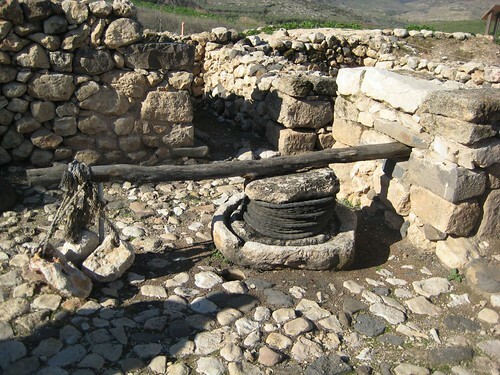 Biblically it is mentioned as a Canaanite city in the book of Joshua. Otherwise, it was just impressive and a flash back to all of my Roman history in Latin classes. Please click on the blue Beit She’an above if you want to learn more. Too much information for me to write. Tel Hazor is another Biblical Tel (hill) like Tel Megiddo. 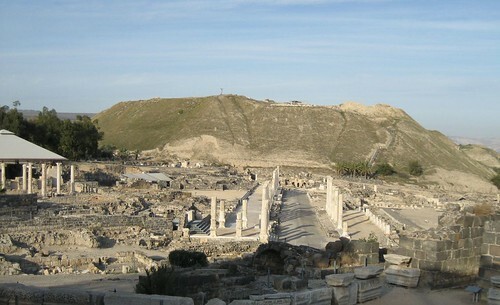 Hazor was one of the most important Canaanite cities and the archeological remains are the biggest and best in Israel. Hazor is old! You can find references to it in Joshua 11:1-5, 11:10-13, Judges 4, 1 Kings 9:15, and II Kings 15:29. It is amazing reading these verses now with a much more concrete idea of where and what they are talking about! Previously, I just skimmed over these city names because I had no idea where they were, but now they’re real. So, that is quite a blessing! This is a category 1. 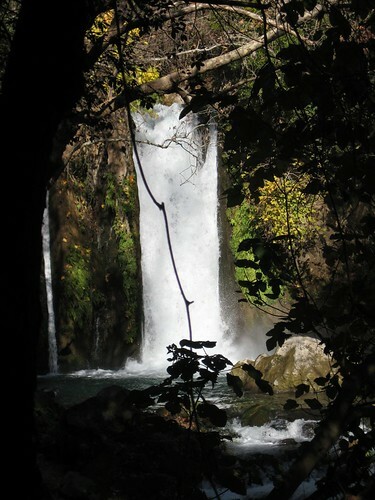 We journeyed to Golan Heigths (our first occupied territory) so that we could see Caesarea Philippi which is where the ruins of the Temple of Pan are located. 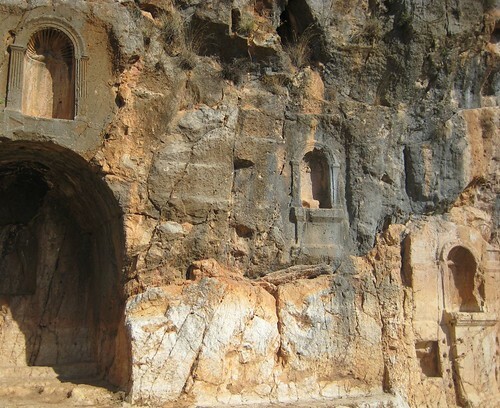 Caesarea Philippi is where Jesus asks the disciples who they think he is, Matthew 16:13, Mark 8:27, & Luke 9:18. 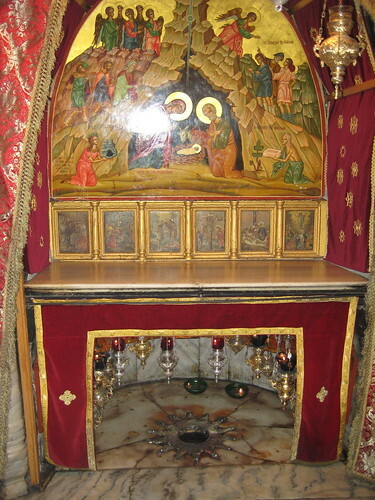 This is also where Jesus healed the woman (from Paneas) who had been bleeding for 12 years: Luke: 8:43, Mark 5:23, & Matthew 9:20. This is a category 1. We then walked an amazing hiking trail. I honestly thought I was in the flint hills of Oklahoma or Arkansas on a hiking trail. I had to pinch myself because it didn’t feel like the Israel my mind had formed. 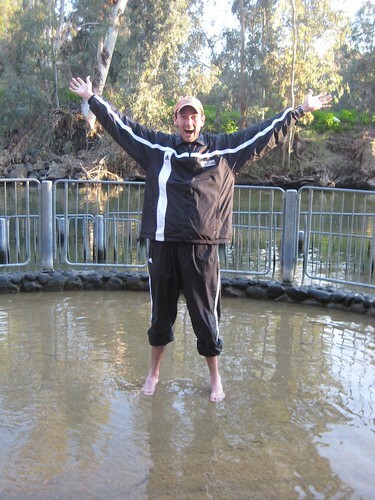 Our hike ended at the Paneas spring which is one of three contributers to the Jordan River. This is also when we saw a lot of signs for Lebanon and were only miles from Lebanon I believe. We then drove farther northwest until we were at the border crossing to Syria. We stopped and could see out into Syria for miles. It was pretty cold so everyone got off the bus and then right back in. I was the last one back in the bus because I really wanted to just go step in Syria to say hi, but that didn’t happen. It was really interesting because we could take pictures of Syria, but we could not turn around and take pictures of all of the Israel military defense satellites and such on the hill behind us. Hello from Jerusalem! I am trying to write down everything that we are seeing and experiencing, but there’s a lot. So, I decided to break it down by day. You can click on words in blue to get more information from Wikipedia if you’d like. Thanks for reading. 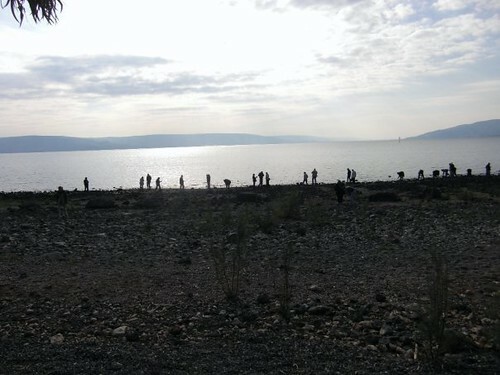 Monday morning, we got up bright and early and took the bus to the shore of the Sea of Galilee. There we read John 21 where Jesus comes to the disciples after the resurrection, sees that they can’t catch any fish, tells them to cast their nets on the other side of the boat, and then fish galore. If you haven’t read John 21 recently…you should, it’s interesting to say the least. Next, we went to Capernaum. Matthew 4:13 tells us that when Jesus found out that John had been arrested, he left “Nazareth and made his home in Capernaum by the sea.” This is where Jesus heals the paralytic in Mark 2:1-12 which is every Austin Seminary students favorite pericope because we spend our entire Greek exegesis course on this pericope. So, when our guide asked if anyone knew Mark 2:1-12 everyone moaned “yes” and had grumpy faces. It was surreal to see Peter’s house where the story I spent hours studying took place. Over Peter’s house there is now a beautiful Catholic church with a opening in the middle so you can see Peter’s house. This is a category 2 I believe. We then went to a beautiful Greek Orthodox Church that was in walking distance from Peter’s house. Next, we went to the traditional place where the Sermon on the Mount from Matthew 5 took place. This is a category 3 site, but we were told that it probably occurred a stone throw from where we were. However, this raises an interesting question because in Luke 6 it is the Sermon on the Plain. Where we were was definitely not a plain… It could just be that Jesus preached it twice with different words at different places. Well, there’s only one thing to do…put it into my God question box. 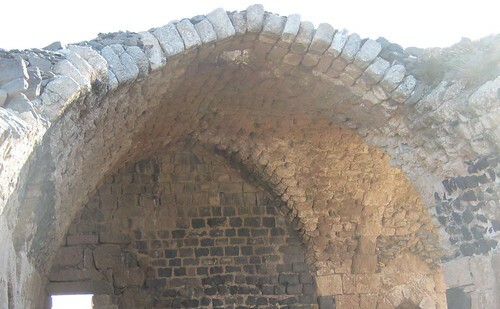 From there we went to Korazim which was a city that Jesus condemns in Matthew 11:20 along with Capernaum and Bethsaida. Apparently, it worked…because none of those cities exist anymore. Seriously, what could be worse for a city than Jesus condemning it? We had lunch at a fish place which served fish like Kenya, head and eyes included. I scarfed mine down because that’s what I lived off of for 2 weeks when I was on Mfangano Island, but I’m not sure everybody liked it. We then traveled to the Church of the Multiplication (every math teacher’s dream) located at Tabgha. This is traditionally where Jesus fed the 5,000 (not counting women and children). 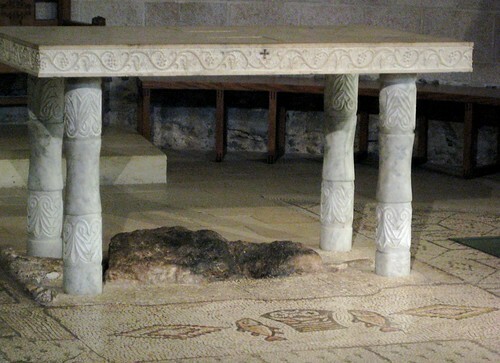 Under the Table there is limestone sticking upon which tradition says the baskets were placed. Here is where the famous mosaic of the 2 fish and 5 loves is located right in front of the limestone beforementioned. This is a category 3 I believe. Across the Sea is another site where Jesus fed the 4,000 (not counting women and children) with 7 loaves and “some fish” in Matthew 15 and Mark 8. We did not go there because 4,000 isn’t as impressive as 5,000…and because it was on the other side of the Sea. We concluded the day with a mountaintop view of the Sea of Galilee. 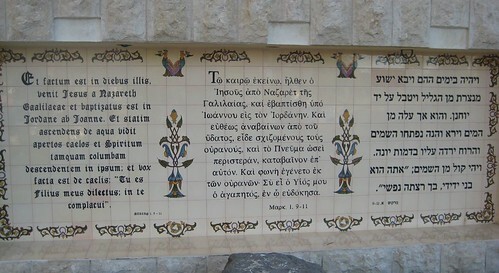 From there we also saw Magdala which is the town in which Mary Magdaline was traditionally born and raised. Sunday morning we woke up at 4 AM in Cairo so we could be at the airport extra early to fly to Tel Aviv, Israel. It is very different traveling with 31 other people than by myself, but our group is full of incredible people so it was actually easier to get through everything with the group than it would have been by myself. It also helped to have the travel agent take all our passports and check us in as one instead of 32. They took my swiss army knife (even though it was in my checked bag)…which means no more opening pop in Kenya or Speghettios cans…no bueno. Any who, we left Cairo and arrived in Israel. The airport in Tel Aviv is one of the nicest airports I have ever been in (and I’ve been in a lot of airports). 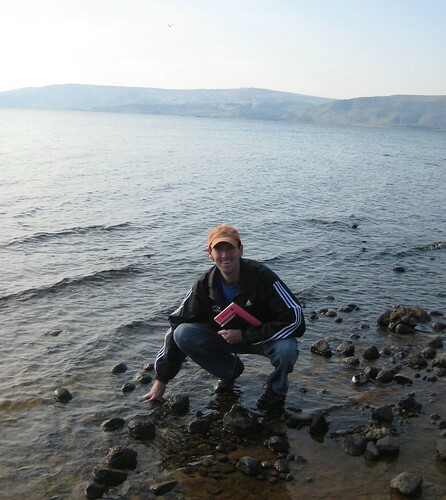 We met our guide, Peter, and we were off to the Sea of Galilee where we would stay for the next several days. However, we had made such good time we decided to stop and see some sights. My first impressions of Israel were formed by their airport (which as I said was amazing) and then by the wall which they are building to separate Israel from the West Bank. Israel is not a very large country so we saw the wall many times as we were driving. It seems to me that walls haven’t worked out so well throughout history…and it was just sad to see people building walls to separate themselves. 3. Category 3: Tradition states that this is where “it” took place. 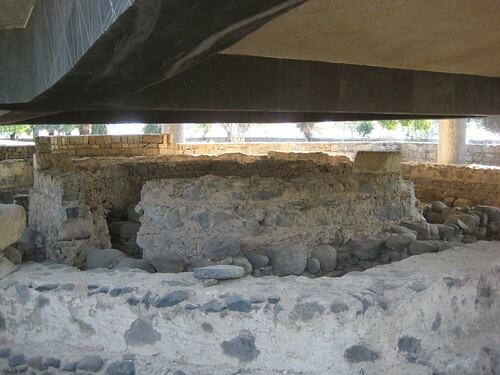 However, there is no archeological proof and usually there is 20 more feet of dirt on top of the location then there was during Jesus’ time (or whatever time we are talking about). 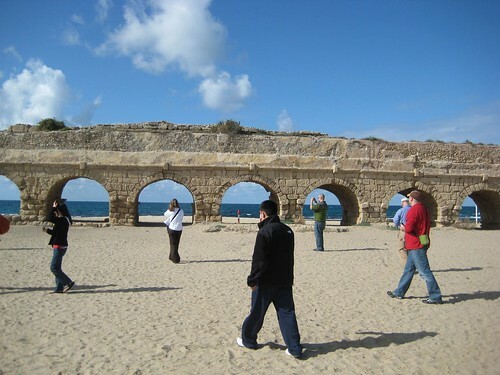 Our first stop was Caesarea Maritima where we saw the double Roman aqueduct of Caesarea and the Amphitheater of Caesarea. The coolest part architecturally was that Caesarea had a protected harbor which was one of the engineering marvels of its time. In Christian history, Caesarea is where the only secular record of Pontius Pilate was found. Furthermore, it is believed that Peter started the church in Caesarea and that Paul was imprisoned here and wrote his letters from prison. I believe that the Biblical bo-jazz is a category 2. So, that’s pretty slick. We then journey to Tel Megiddo (Tel is Hebrew for “hill” or “mound”). Tel Megiddo is a city that was inhabited from 7000 BC to 586 BC and is where the word Armageddon comes from. It is the place that Revelation is referring to when it speaks of Armageddon (good way to start the tour). The city was located at a major crossroads and was therefore, a very important place strategically. As our professor described it, one army would be traveling one way and another the other way. They would meet at the crossroads and then fight. The most interesting architectural aspect of Tel Megiddo was that they dug a tunnel to their water source. Their water source was outside the city walls. So, when they were under attack they couldn’t get H2O. Therefore, they dug this tunnel through limestone (?) to the water and then closed off the other end. 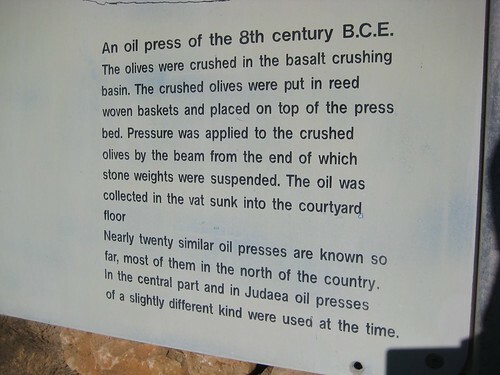 I wouldn’t want to attempt this today with our technology, so to do it back then is beyond amazing.